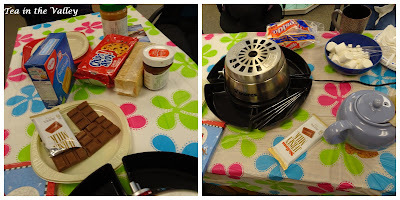 Last week, we had our first office tea social of the year: a s'mores tea to combat the winter doldrums. I brought the S'mores black tea by Citizen Tea, while my colleagues brought the electric s'mores maker and ingredients. Some of us got creative with our s'mores. My co-workers surprised me with the perfect (belated) birthday card and a cupcake. How do you make your s'mores? Now wasn't that a fun tea social at work??!! Is the s'mores tea good? It sounds wonderful for my sweet tooth! For s'mores, I most times will roast the marshmallow right over my gas burner (electric works, too!). Happy tea day, Margie! P. S. The birthday card is darling!! You really do work in the nicest place. You gals have such a great time at your work! A s'mores tea sounds super fun. I'm embarrassed to admit that I have never eaten s'mores. Yeah, I know! Where have I been? I think I might do that on Valentines Day and surprise my hubby. He would love it because he has never eaten s'mores either. Thanks for the idea! How much fun is this!? Looks like a very special workplace tea time! Such fun!Great and special time with friends! Looks like it was super fun! I've never seen a smore maker like that before...that is cool! A fun time having smores in mid winter. What a great place to work! I did not know about electric s'mores makers - what will they come up with next! 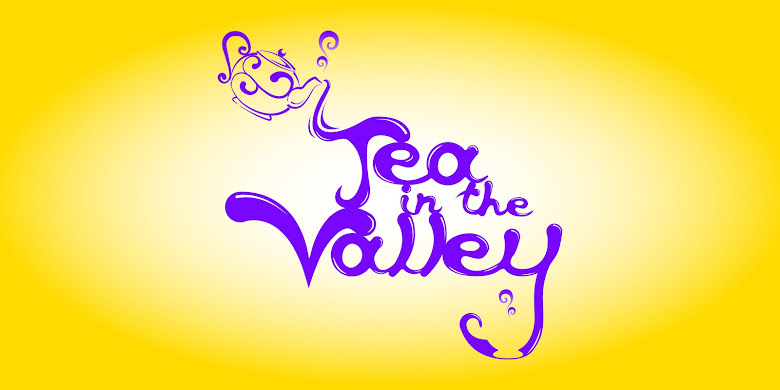 I only make s'mores when camping, but I bet I could interest some little people I know in a s'mores tea party! Such a great idea.